Gilmore Girls Coming to Washington Depot! Stars Hollow Coming to Life! On October 21, 22, and 23 Washington Connecticut, the town widely known as the home to many of the sites Gilmore Girls creator Amy Sherman-Palladino gathered inspiration from for her original script, will transform into the fictional Stars Hollow and host the Gilmore Girls Fan Fest. 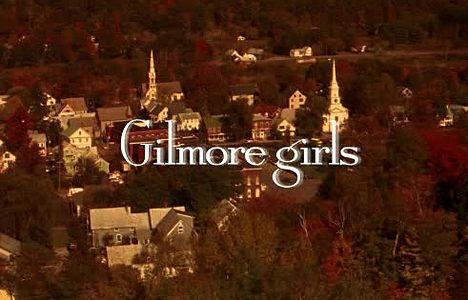 This weekend will give Gilmore Girls fans the chance to visit and stroll through the town where the story took place. Fans will be able to experience familiar events from the show, such as tea at the inn, a cake tasting at the market, coffee at the hardware store, a staged knit-a-thon, and a Friday night dinner. One of the highly anticipated events is a cast panel which will take place on Saturday, October 22. Confirmed appearances during the festival include: Jackson Douglas (Jackson, Rini Bell (Lulu), Aris Alvarado (Caesar), Biff Yeager (Tom), Kelly Bishop (Emily), Yanic Truesdale (Michel), Vanessa Marano (April), Rose Abdoo (Gypsy) and Ted Rooney (Morey). - Screening of the pilot on Friday and the finale on Sunday. - A cooking segment to introduce the new 'Eat Like a Gilmore’ cookbook. Kristi Carlson, the author of the cookbook (coming out the end of October), will also be on hand to discuss recipes you might find at Luke's Diner or Sookie's kitchen. - Photo Opps "on the Green"
What comes to mind, for me, every time I think about the festival, is a direct quote from Amy Sherman-Palladino in a 2001 Desert News interview about her thoughts on the series. Pulling one from Amy's book I'll say, 'If I can make people feel this much of what I felt walking around this fairy town, I thought that would be wonderful'. And that's really why we're doing this, it's all for fun, for fellow fans. The festival offers fans a chance to experience parallels of the fictional town, Stars Hollow, highlighting some of the most crucial elements that made the town so impressionable to the creator. For more details about the event go to www.gilmoregirlsfanfest.com.